Joined here a year ago Yes! I debated as to where to post this. Since it was a year ago today that I joined here I figure this would be considered an anniversary date. 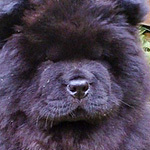 I’m so glad I found this neighborhood of chow lovers. Last year at this time I was going through the mourning of loosing my beloved Chloe. I rescued her when she was 2 yrs old She had passed away in January 2011, a week after her 15th birthday. 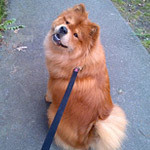 I felt her gentle spirit nudging me to find another chow to rescue. I did find one through this website. You’ve read about some of her antics and adventures. Her name is Whitby. This site is like the old-time neighborhood I grew up in. Visiting with the “neighbors”. Chatting, sharing, caring, laughing and crying with each other. Someone may get upset with someone. That happens. You can get mad but then you’ll get glad again. When the chips are low and you need a shoulder to lean on – someone is there for you (and usually more than one). Thank you each and everyone for all you have to offer and for being part of this “neighborhood”. Re: Joined here a year ago Yes! Happy Joining Day to you. So glad you found Whitby too! Happy anniversary from Karen and Cocoa too! 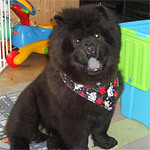 Like Nancy said it is awesome to have friends from all over all with a love of chows in common.